There are many myths, however, surrounding outsourcing order fulfillment such as the fact that customers will know if you outsource these services and that it’s only beneficial for large companies. These myths are, well, just that—myths. We’ll debunk all the mistruths you’ve heard about e-commerce order fulfillment, and give you the reliable information you’ve been searching for. One of the most common misconceptions about order fulfillment is that it’s a simple process. In reality, it’s a complex system that requires various departments to work closely together in order to satisfy customers. Many small businesses believe that the quality of their product will speak for itself, and that product quality is all that’s needed for their business to succeed. This is completely untrue, as many companies with innovative and useful products have failed in the past. With the influx of new e-commerce companies, the market is becoming saturated and it’s becoming more and more difficult to stand out among the crowd. If your product isn’t the only thing that plays a part in your success, then what else does? The satisfaction of your customers does, which primarily depends on the experiences they have with your company. Order fulfillment plays a huge part in how content your customers are, and whether they’ll refer others or make a repeat purchase themselves. Order fulfillment is more than just shipping items—it entails updating stock levels, packing, sending out orders, and tracking shipments, to name a few. It’s incredibly easy to get bogged down in developing your own fulfillment infrastructure, so why not trust someone who’s been doing it for decades, to take care of it for you? This is one of the biggest myths about order fulfillment. As we’ve said, there’s a ton that needs to go into creating an order fulfillment process that works for you and keeps your customers happy. 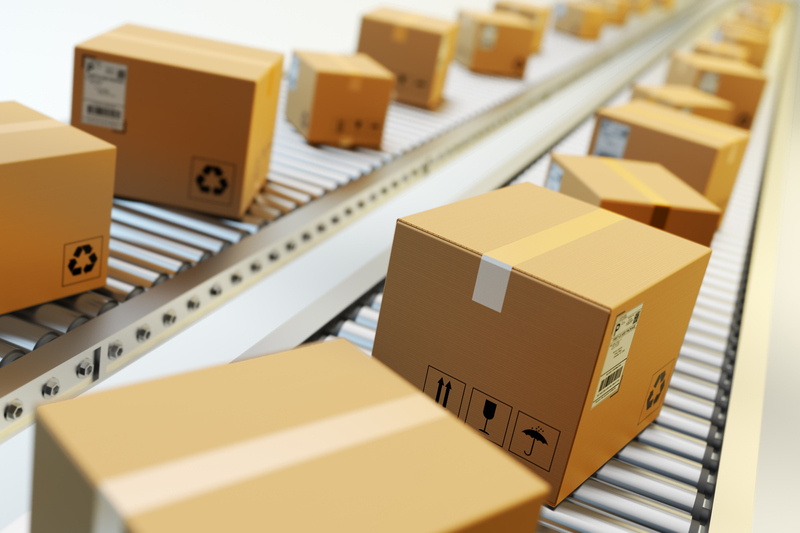 When your business is small and not necessarily drowning in cash, it can be tough to develop an order fulfillment department that will be able to meet all of your and your customer’s expectations. Larger companies often have more wiggle room when it comes to funding, which makes outsourced fulfillment an ideal choice for smaller businesses. Plus, you’ll have the opportunity to select a fulfillment partner that meets your needs, right now—there’s usually the option to grow and increase your level of service, but you don’t have to do that until your business if ready for it. Hiring an order fulfillment service and starting off at a level that’s feasible for you will be much more practical than investing in your own order fulfillment infrastructure before you’re ready, making outsourced fulfillment the ideal choice for any size of business. The alternative to hiring outsourced fulfillment services is to develop your own, which you’ll quickly realize requires a much bigger investment. It is much more feasible for small- and medium-sized companies to pay to outsource their fulfillment, rather than purchase a warehouse, invest in the technology necessary to run it efficiently, and then staff it. When you outsource these services, you have the luxury to pick and choose your level of service, and increase it as needed. Once you reach a certain level, it may be more practical to develop your own fulfillment operation. However, in the early stages of your business, it’s much more cost-effective to outsource your fulfillment. It’s true that you’ll be handing over a portion of your business operations when you hire a third-party logistics company, but you will in no way be losing a grip on you brand. Outsourcing your fulfillment services is simply trusting another company to organize and deliver your products to customers; they won’t have the opportunity to provide their input when it comes to your products. You’ll still be handling everything else, and creating the products that are true to your brand. The only thing you won’t be handling, is the distribution. As such, outsourcing your order fulfillment won’t affect your business, it’ll just make your life a littler easier and your customers happier. The term “outsource” still carries negative connotations today, even though hiring a third-party company to help you fill orders is nothing to be ashamed of. Since consumers still give in to the stigma associated with the term, many companies want to conceal the fact that they use a third-party logistics company. This is common, and not at all difficult to do. The key to streamlining your brand-voice and making sure that customers see no disconnect between your brand and the package they receive is communication. Communicate with your fulfillment partner to train warehouse packers on custom packing tips that are specific to your brand—you can even customize your package inserts to ensure customers get a true on-brand experience, and are none the wiser that their parcel shipped from anywhere other than your offices! APS Fulfillment, Inc. is one of the most reliable order fulfillment services you can find. Based out of Florida, we have access to state-of-the-art technology that we use to organize and optimize the functions of our warehouse and to ensure that each package arrives to its destination on time and in tact. We realize that many small- and medium-sized businesses don’t have the resources necessary to run an effective order fulfillment service, which is why we strive to help them reach their goals. Your order fulfillment service will leave a lasting impression on your customers, so you want to be sure it’s a good one. Choose APS Fulfillment, Inc. to guarantee top notch service, every time. Contact us today to learn more about our facilities and how we can help expand your clientele.